There is no substitute for living in, visiting regularly and traveling these countries extensively. We have lived in Guatemala, Panama, Argentina, and Honduras, (Island of Roatan). In addition, we have explored Ecuador, Peru, Nicaragua, Belize, Mexico, Cuba, Jamaica and Costa Rica thoroughly for the past 17 years. We understand local customs and business practices. We eat in the restaurants, stay at the hotels and ride the transportation, personally experiencing every aspect of our tours and workshops. We know the hidden treasures as well as the little things only locals know. Our experience, our relationships and our knowledge of these countries allows us to provide a worry-free, life enriching travel experience. Anita Rogers, fluent in Spanish, lived in Guatemala for 25 years, started her own business there, and was a collector of Maya weavings as well as Spanish Colonial art and antiques. She has been around the travel industry most of her life, as her family owns the beautiful Hotel Atitlán on Lake Atitlán in the Guatemala highlands. John Korte, former financial advisor to affluent families and business owners across the United States, has explored South and Central America for over 20 years. They have both lived in Antigua, Guatemala as well as Bariloche, Patagonia, Argentina and most recent, the Azuero Peninsula in Panama. Jeremy has lived and worked in places like Mexico, Honduras, Costa Rica, Peru and most recently, Cuba, for more than 20 years. Both he and his wife Melissa are fluent Spanish speakers and have an extensive knowledge of both history and culture throughout Latin America. Together, with their twin sons, Max and Clay, they have pioneered new ventures in several countries and are excited to share their love and passion for our destinations with each of our travelers. Roberto was born in Lima, Peru, of German parents. He is fluent in Spanish, English and German, has lived in Antigua, Guatemala for ten years, and is an officially licensed guide through the Guatemala Institute of Tourism. His study and experience in arts gave him the background to understand and communicate the beauty of Indigenous art and life. Roberto gained a deeper understanding of the Maya culture by learning one of the 21 Maya languages spoken. Traveling in Guatemala, and witnessing its natural beauty and cultural diversity firsthand, his tours allow you to gain a deeper understanding of the Guatemalan way of life, its culture, nature and society; in short, Roberto will show you the real Guatemala. Tommy was born in Quito, Ecuador. He studied Tourist Administration and National Guiding at Universidad Católica de Quito and at UTC in Quito. 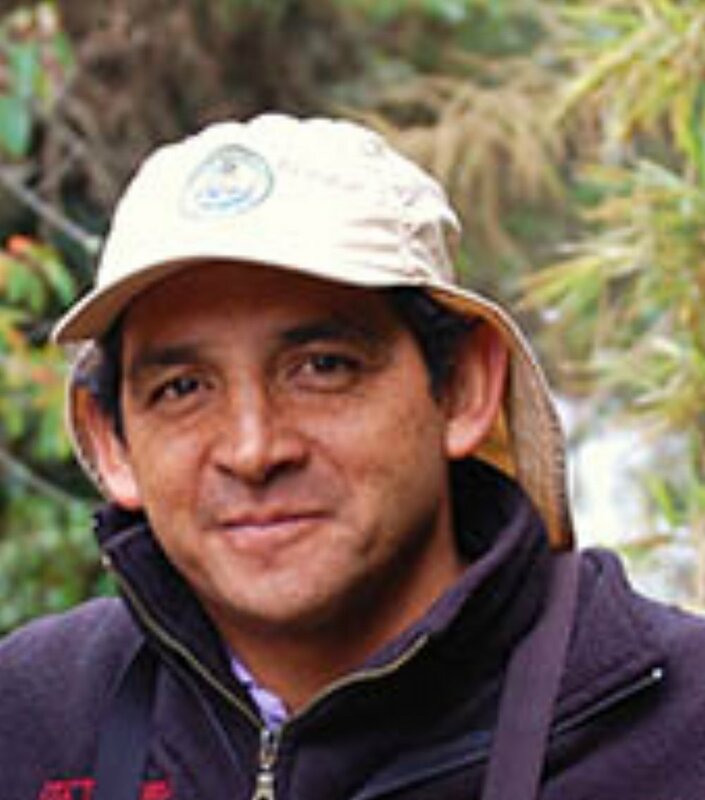 He speaks fluent English, Spanish and Italian, and has been a professional guide for over 16 years throughout Ecuador, the Galapagos Islands and Perú. An avid outdoorsman, Tommy has made a hobby of seeking out and studying the many and various species of Ecuador’s birds and plants. He is an enthusiastic participant in adventure sports such as trekking and kayaking, and is passionate about motorcycles and mountain biking. Tommy and his wife Carolina have three young sons who all share his passion for adventure sports and nature. Shelby is a BYU-trained archaeologist/anthropologist and has worked on numerous archaeological projects in Utah, Mexico and Guatemala, including a study of obsidian knife blades from Teotihuacan and the mapping of ruins in the Guatemala jungle at the Maya ruins of Piedras Negras on the Usumacinta River. More recently, he began research on the pottery manufactured between 600 B.C. – 100 A.D. in the Maya lowlands. Due to his contact with many of the leading archaeologists, he is often privy to discoveries years before they are published for the public. Shelby is the creator, founder, and President of Liahona Guided Tours. On Tour, he conducts his lectures on location and will provide you with cutting-edge archaeology correlated to peoples of the Book of Mormon. As a seasoned lecturer on the archaeology of South America, Saberon also brings the civilizations of Peru to life on our Machu Picchu tour. He and his wife Catherine have three active sons.